One year is over, many music we had played for you. Thanks to all musical guest´s and DJ´s and interested listener´s. We look forward to 2013 and wish all Vibes Promotion friend´s and musiclistener´s a good start into the new year! 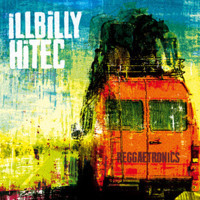 In February iLLBiLLY HiTEC will release their first album on the excellent ECHO BEACH label. You can hear already tow songs right now. These songs include the very powerful "Higher Calling" ft. Longfingah. There is already a very nice video. WATCH IT! The second song is a combination of iLLBiLLY HiTEC ft. Lady N & Longfingah - "State Of Emergency" by iLLBiLLY HiTEC. The artists show their talent on the skanking dance riddim of iLLBiLLY HiTEC. Lady N from Moscow (Russia) had released in december 2012 also their second album on Boomrush Productions called N`Cognito. She is one of the hottest female dancehall artists across Europe, referring both to her attractiveness and her progressive and groundbreaking understanding of dancehall and music in general. Her songs are produced on the highest technical level and scintillate through her unique style of singing. That makes her the opposite of a cheap copy of other artist‘ styles as it has become sadly common throughout the reggae and dancehall scene. At last check out one mix by OHRWO on soundcloud. Keep the fire blazing 2013 again. Your Vibes Promotion Team.